multiple state and regional cancer registries throughout the U.S. 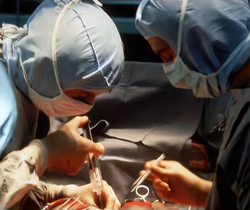 Solid organ transplantation is a life-saving procedure for individuals living with end-stage organ disease. However, people who receive an organ transplant subsequently have an elevated risk for some cancers. This high risk occurs because the medications that recipients take to prevent rejection of the transplanted organ weaken the immune system. Also, some other cancer risk factors are common among transplant recipients. By studying the patterns of cancer risk among transplant recipients, the Transplant Cancer Match Study investigators seek to better understand how the immune system protects people from developing cancer. Another goal of the study is to increase the safety of organ transplantation, by identifying cancers where the risk is especially high and looking for opportunities to improve transplant practice. The study does not recruit participants, because it uses only data previously collected by public health agencies.